A stalwart in the art world, the Karachi-born creator’s works — that portray issues of race, class, gender and society — have graced the walls of several international galleries since her debut over five decades ago. 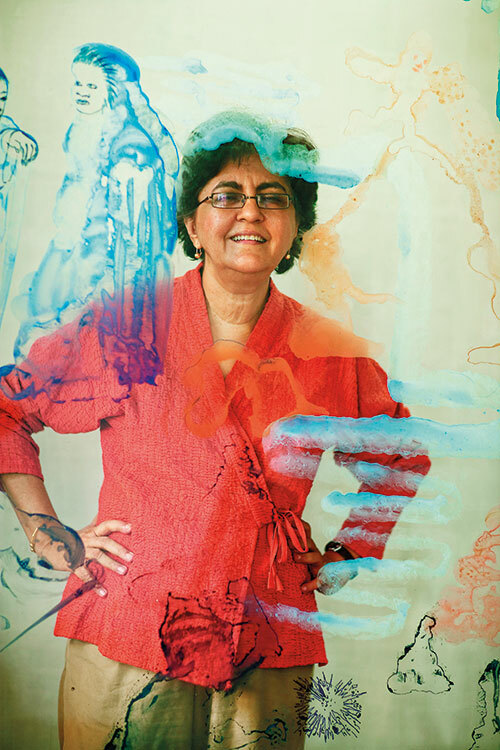 And, at the recently held Asia Arts Awards, Nalini Malani was named one of Asia’s game changers for her transformative artworks, and for ‘touching souls’ through her medium. Though she hits the septuagenarian mark this year, Malani is far from giving up her paintbrush — and will be the first Indian artist to have a retrospective at Paris’ prestigious Centre Pompidou next year. Read about our next power woman, Arundhati Bhattacharya.